Gearing up for 2015 Dickey County Fair! Are you ready?!? We certainly are! 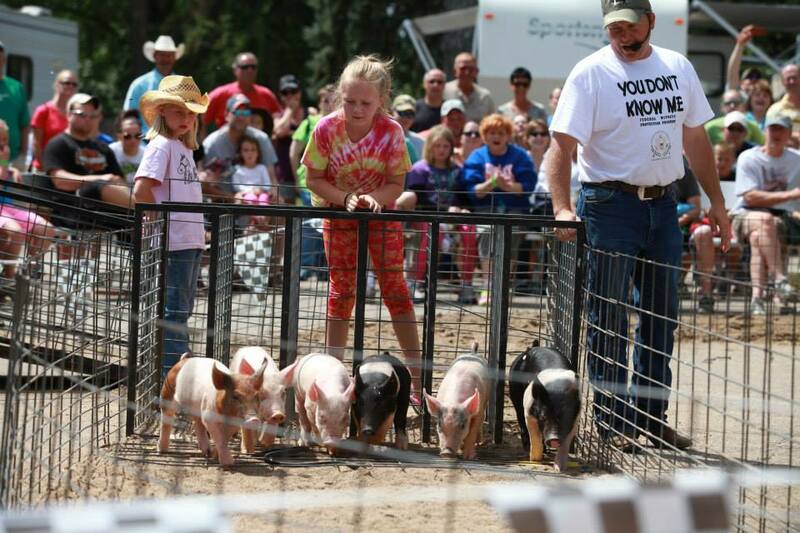 It’s getting to be that time of year again, which means that the 2015 Dickey County Fair is just around the corner! Mark your calendars for July 10, 11 and 12 – because we have quite the schedule for you! New to the fair this year is a Lumberjack show!!! That’s right, we’ll have a great show a few times each day…guaranteed to be a crowd pleaser! And don’t forget that Daryl’s Racing Pigs will be back this year, too! There’ll be the Bar S Rodeo Friday night, followed up with another amazing fireworks show and Thrillbilly in the beer gardens. Saturday will continue with Two Way Crossing as our main entertainment, followed by a second helping of Thrillbilly. Sunday’s schedule includes a free pancake feed and the derby!